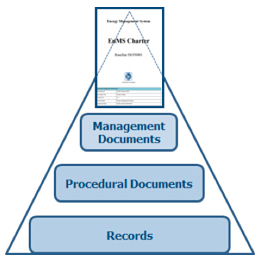 Documentation is key to the ISO 50001 certification. So then, how do you proceed with the ISO 50001 EnMS operation? Top management must lead, appointing influential management representative "person responsible for energy management (PRF) or EnMS champion", to run an aggressive EnMS operation with all people involved under the effective EnMS structure. However, the operation requiring all people's involvement with a proper teamwork requires adequate documentation to ensure people sharing common information and knowledge. In EnMS operation, without proper documents, actions are vulnerable. Did you know there is such a handy document at your service? 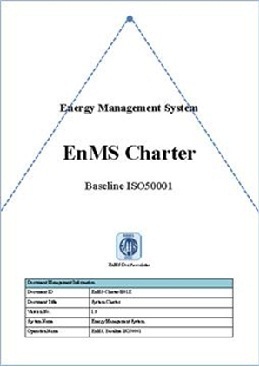 ● “Person responsible energy management operation (EnMS Champion)” is the document author. more than the original one . always ready for ISO 50001. 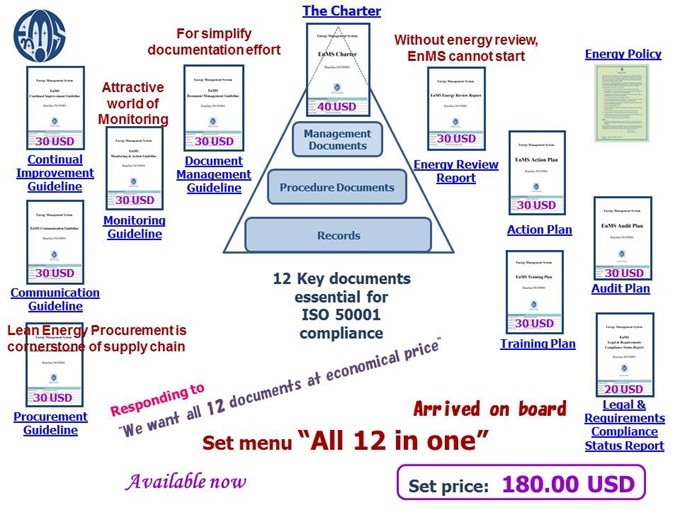 The 12 key documents offered are made based on an actual business entity and so it is powerful and real. At the same time, the contents are flexible in the nature that can be applied to any industry, factory and commercial building. In creating the 12 key documents, the top management, PRE (EnMS champion), CEM and legal& administration manager are responsible. ...and of course any person involved in EnMS operation must read these documents. Order Set menu "All 12 in one"